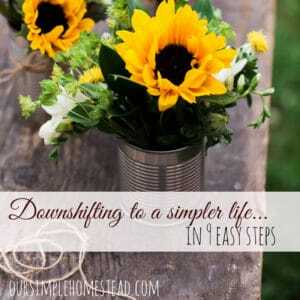 We live in a fast-paced world and trying to find ways to slow down can be a real challenge. I have spent the last few years putting into practice things to make me stop and enjoy the life around me. 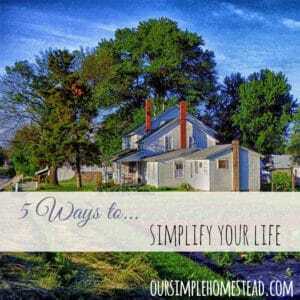 Here are 5 ways you can simplify your life today! Spend some quiet time alone – We are programmed to have lots of friends, to spend time with those we love and to always have people around us, but what we need is alone time. You may be uncomfortable being alone and it may take some practice getting used to, but it is important we learn how to sit quietly and let our brain rest. Sitting outside or in a quiet room, close your eyes and just take the time to let everything in your mind drift away. Take in the sound of the birds, the tick-tock of a clock or whatever you hear and enjoy the peaceful simplicity of quiet solitude. Turn off all electronics – I know it may be hard, but take an hour every day and live without your electronics. Shut off the TV, turn the radio off in the car, turn your cell phone off and get up away from your computer. Facebook is not going anywhere and you won’t die if you miss a tweet or two, so go on an electronic fast every day. Our minds were not meant to have so much stimulation and in order to find balance and peace in our lives, we must give time for our mind to rest. Leave enough time to drive slowly – Before we even start our day most of us are stressing about our morning commute. By leaving just 10 minutes early, you can take the time to drive in the slow lane and enjoy your surroundings. Life passes us by so quickly and if we do not take the time to enjoy it, are we living? Leave the honking and frustrated driving to someone else and just enjoy the ride. Empty your email box – There is a sense of accomplishment when you know that your email box has been cleaned and organized. First, go through your box and delete all unwanted emails. Next, respond to all emails that will take less than 30 seconds to answer and finally set a time limit for working on your emails. When your time limit has passed shut off your email and go to your next project. Learn how to say no – The fastest way to simplify your life is by learning how to limit your commitments and knowing when to say no. The word no is such a simple word, but it also can be a hard word to learn to say. Often we say yes to avoid letting someone down. 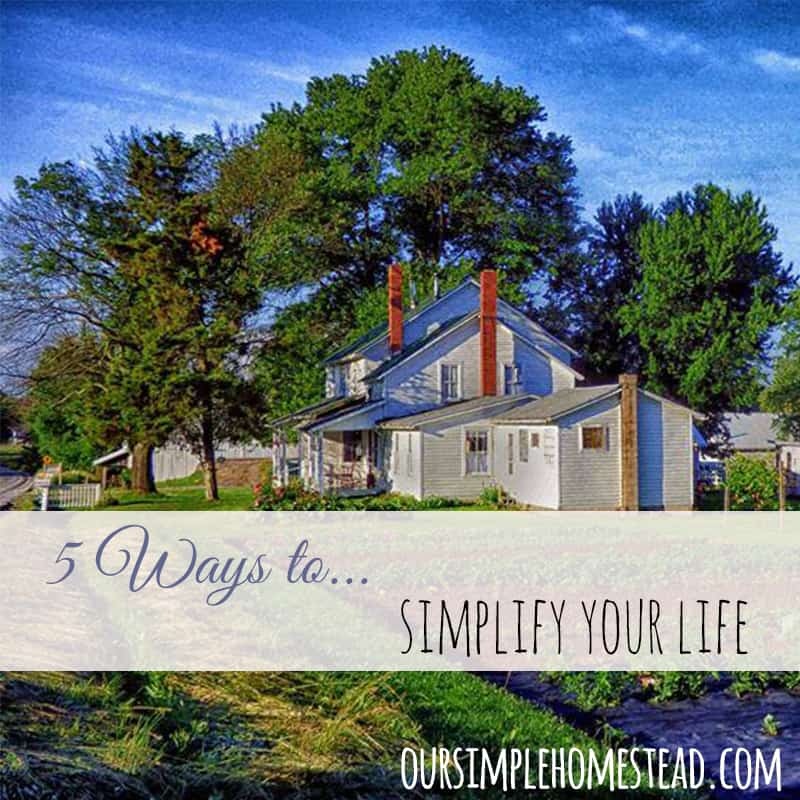 I know first hand that the day I started saying no to projects that would stress me out was the day I started living simply. 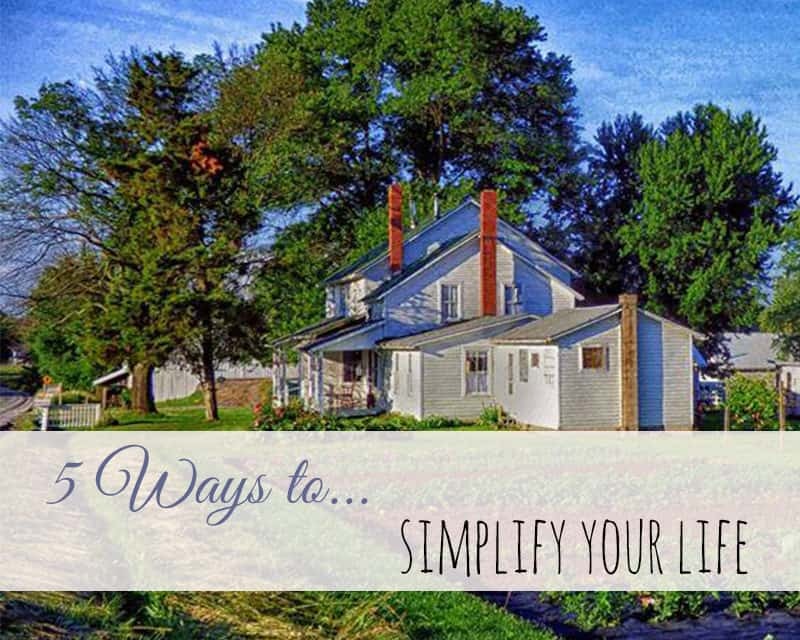 Which of these steps can you apply today, so you can start to slow down and simplify your life? Great tips! My day is always better when I start with my morning “quiet” time. 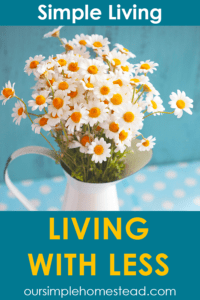 Just me, my Bible and devotionals – silently listening for God’s voice. Visiting from the link up. Morning with my bible is my favorite time of the day! 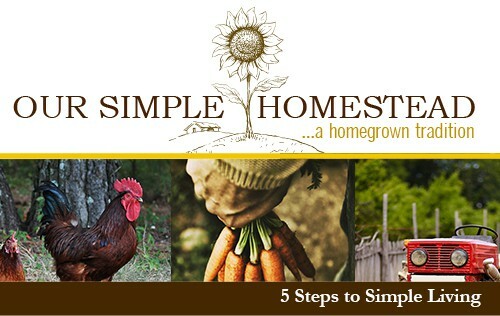 These are great ideas… it is so easy to be controlled by our environment and continue to be rushed and stressed. 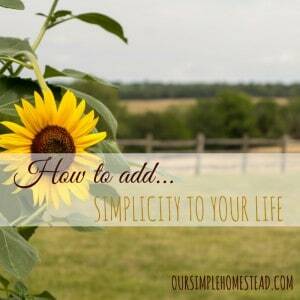 Simplifying it hard…. but good. 🙂 Thank you for posting this. Good tips! I need alone time daily! But sometimes it so hard to come by! I need alone, no social media, just quiet time!! Thanks for reminding me of this!! 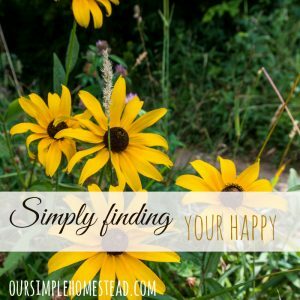 Visiting from hearts for home link up! I really need some alone time every day…even it is on my drive home from work, driving in the quiet! 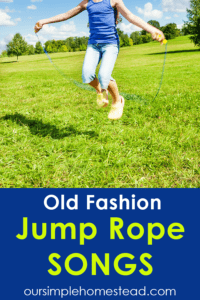 Sounds like a great way to unwind! Pets sure do have a way of calming us down, I know ours do! Hi Tracy, just stopping by from the Say G’Day link party. I love this post! Too many minutes of our days are spent stressing over one thing or another. 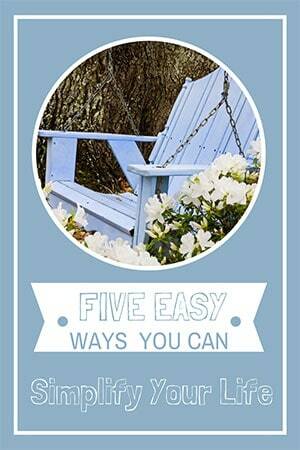 I unwind by rocking on our porch swing with our dogs beside me. Pure contentment! Hope you have a great day! Just wondering where you are at in your travels? 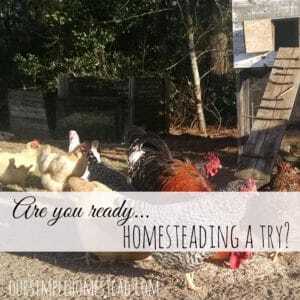 Did your homestead sell? 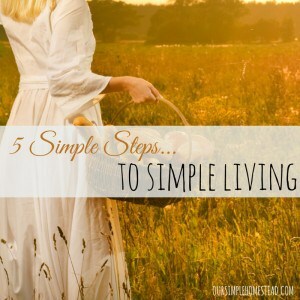 What new simple living thoughts are you having with your lifestyle change? We did sell our farm and are now spending lots of time at our daughter’s farm helping them build their little homestead up. 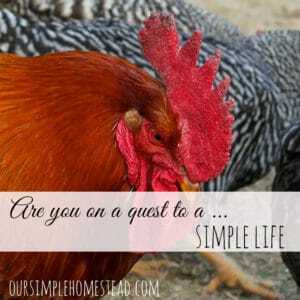 We are looking for a new farm closer to our children and are excited to see where God places us. Thanks for asking!